Gettysburg Campaign, Confederate retreat. Drawn by Hal Jespersen in Macromedia Freehand; source ) Image released to the public domain by the author. 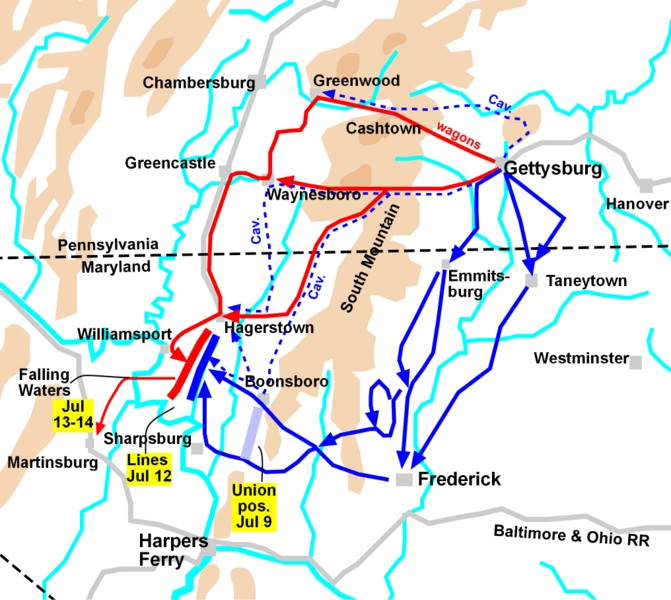 current 15:56, 5 September 2007 671 × 600 (220 kilobytes) Karajou (Talk | contribs) Gettysburg Campaign, Confederate retreat. Drawn by Hal Jespersen in Macromedia Freehand; source [http://www.posix.com/CWmaps/]) Image released to the public domain by the author. This page was last modified on 5 September 2007, at 16:01. This page has been accessed 1,124 times.